This paper is the third in a series of studies published by my lab that examine the effects of climate variability and longer-term climate change on the habitats of ice breeding seals in the North Atlantic (See Johnston et al. 2005 and Friedlaender et al 2010). These seals, especially harp and hooded seals that pup on seasonal sea ice in sub-Arctic regions, are not well studied in the context of climate change even though their breeding habitats may be extremely vulnerable to warming. This latest paper focuses specifically on harp seals – Pagophilus groenlandicus – and sea ice cover in their predictable breeding grounds during February and March. Harp seals are found only in the North Atlantic, and are probably the most abundant phocid seal that inhabits this ocean basin. This species has been hunted for subsistence or commercial purposes for decades across the North Atlantic, and in many places these hunts continue. The species whitecoat pups are, well, iconic. [photo size=’small’ align=’right’]http://superpod.ml.duke.edu/johnston/files/2012/01/IMG_5777-Version-2.jpeg[/photo]The results presented in our new paper clearly indicate that light ice conditions lead to increased neonatal mortality in harp seals. Sometimes the mortality is dramatic, where entire year classes might have been lost. 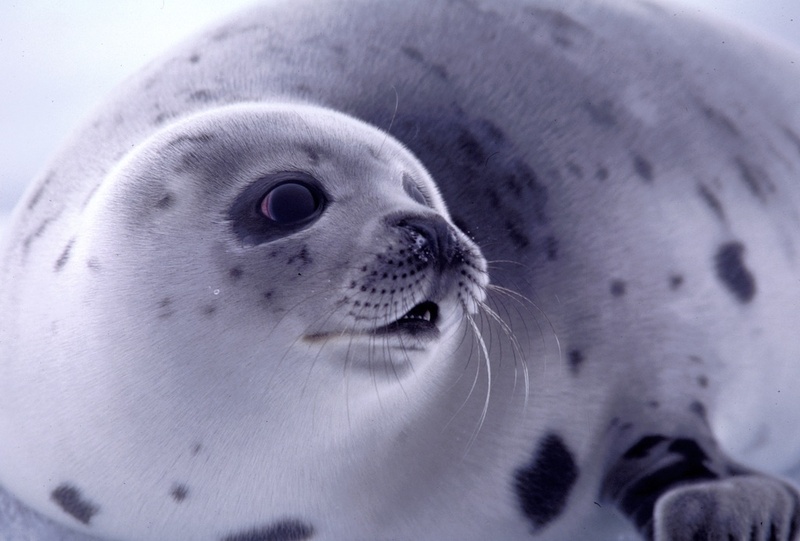 Increased mortality in turn leads to reduced recruitment of seals into the breeding population a few years down the road. Harp seals are well-adapted to the ephemeral nature of sea ice during the spring, and the occasional bad ice year should pose no problem for a pinniped species that can reproduce relatively quickly. To put it bluntly, occasional and periodic bad ice years, and subsequent reduced or missing year classes, should not overly effect the population’s trajectory over the long term, especially in the absence of other dramatic sources of natural mortality. What worries me, and other scientists who study this species, is what might happen if light ice years become the norm, and reproductive failure becomes commonplace. 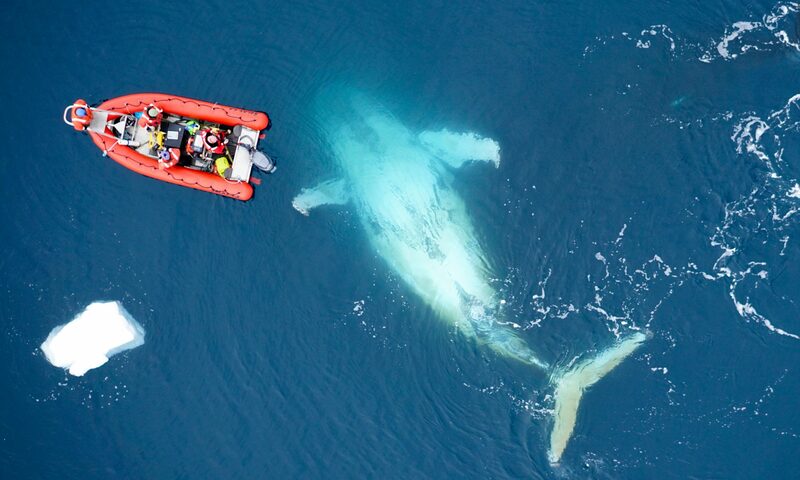 Remember that we need to top this off with other significant sources of human-caused mortality – such as bycatch and hunts. [photo size=’medium’ align=’left’]http://superpod.ml.duke.edu/johnston/files/2012/01/20110302_Figure3-copy.jpg[/photo]Our latest paper also documents the declining ice conditions in harp seal breeding regions across the North Atlantic over the past 32 years. Much of this change may have not been completely obvious, as shorter term variations in climate (driven by factors like the North Atlantic Oscillation) can obscure the longer term warming signal. But it’s in there – and the results of our work indicate that sea ice is declining in harp seal breeding regions at about 6% per decade – a rate that easily keeps pace with, or exceeds – the observed changes in sea ice cover for the Arctic overall. Our research, and that of others who study ice dynamics at high latitudes (e.g. NSIDC graph at left) reveals that light ice years are indeed becoming the norm. Put these two things together – (1) high neonatal mortalities in light ice years and (2) a long term decline in ice cover in predictable breeding habitats and you have a recipe for population disaster, even for an abundant species. What remains unclear is how the animals may respond to changing ice conditions. Clearly, harp seals are not responding immediately to declines in sea ice cover – if they did, we wouldn’t see increased neonatal mortality across strings of light ice years, they would simply have moved on to colder (?) pastures. Our retrospective analysis in the present paper hints at limits to harp seal reproductive flexibility, as their populations appear to fluctuate in synchrony with NAO (and therefore sea ice) conditions over time. Indeed, the reproductive timing of harp seals is driven by the complex relationship amongst body condition, light levels (as a proxy for time of year and latitude) and predictable appropriate sea ice habitats, and these factors may constrain rapid acclimation to new conditions. Perhaps there is enough flexibility in the reproductive biology of harp seals to capitalize on new ice habitats that can support their reproductive needs over the long term. This is an avenue of research we are exploring as we continue our studies of climate change and it’s implications for ice breeding seals.